My name is Theresa. 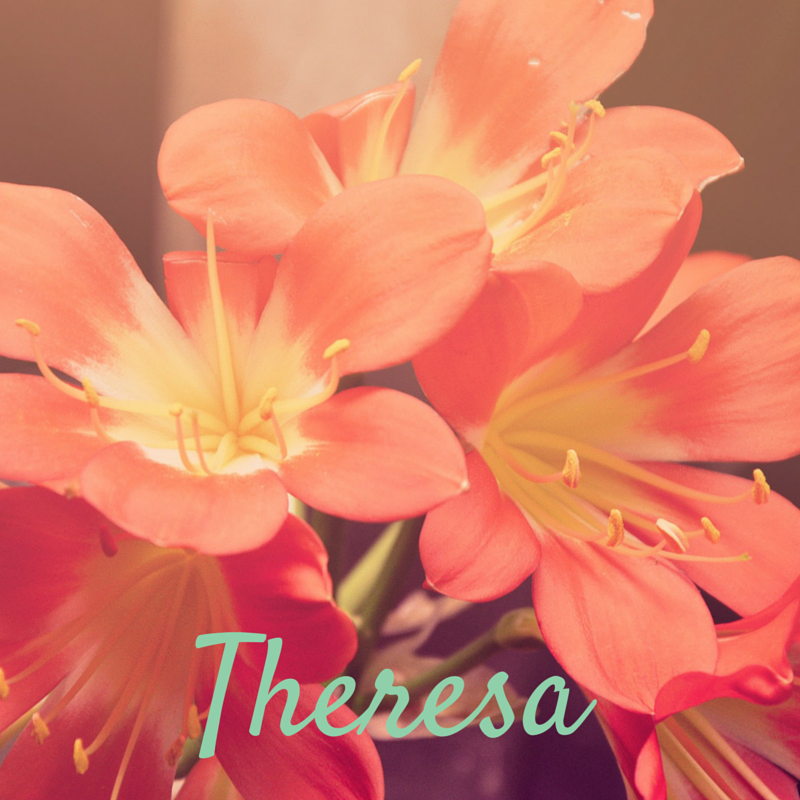 Not the latin, Teresa, but the European Theresa with an H. I was named after Saint Therese, “The Little Flower” who was my mother’s favorite Saint. According to LittleFlower.Org She was known for her love and died at a young age. I was not named after Mother Theresa as many people assume. There was a singer in the 1990’s named Joan Osborne who sang a song called St. Teresa, which I think is about St. Teresa of Avila, which is not the same Saint my mother loved. 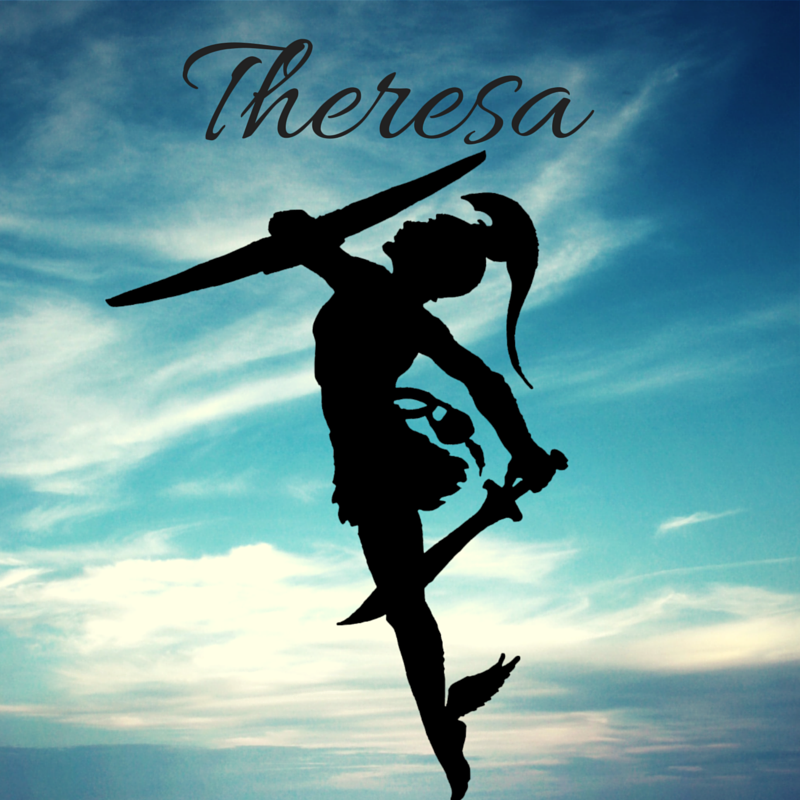 My mom taught me to pronounce my name as T-HER-EE-SA or TUR-EE-SA although some other pronunciations would be TAIR-EE-SA or TUR-AI-SA. Then of course there is the more Spanish Pronunciation of T/d-E-RR-E-SA, with the vibrating R and the T sounding like you have a swollen tongue. I used to dislike my name. I used to want to change the spelling. I tried Treesa for the a short time my freshman year in college when I wanted to redefine myself. Shed my skin. Now I love it. I love it because it is not strange or unique, but few people actually have that name, so I feel special because of it. In my 20’s people called me T or CrookyT, which was fitting because I was wild then with a crooked toe and a crooked tongue. Now most call me Theresa or Treese, but every once in a while an old friend will text or call and call me T. Not Tea like iced tea, but just the letter T. It makes me feel happy and young.